Why is an Organic lifestyle linked to Vegetarian? I have lived an organic lifestyle for 7 years now. Within those years, I have come across so many questions, comments, insults, criticism, doubters, haters, to everything about the organic lifestyle. When I tell someone that I am an organic food/lifestyle blogger or that I live an organic lifestyle they always ask me if I am a vegetarian or a vegan. I get that ALL the time. That is the most common question I receive. Sometimes I am unclear as to why people link organic to following a vegetarian lifestyle. I know many vegetarians and vegans who actually don’t eat organic or shop at health food stores. I don’t know exactly how vegetarian and organic got linked together. Sometimes I think it is because people link organic to the hippie culture. Back in the 60’s and 70’s, hippie’s were mainly vegetarians or vegans who followed an organic lifestyle. Also, many people link organic to healthy, which is also completely unrelated. I think others believe that those who follow an organic lifestyle eat more health foods like Kale, Quinoa, and Tofu. Don’t get me wrong, most do but there are those that don’t. Because of that, others automatically assume that those who say they eat organic are vegetarians as well. In my lifestyle, I eat healthy and I portion control, but my whole organic journey has been based on balance. 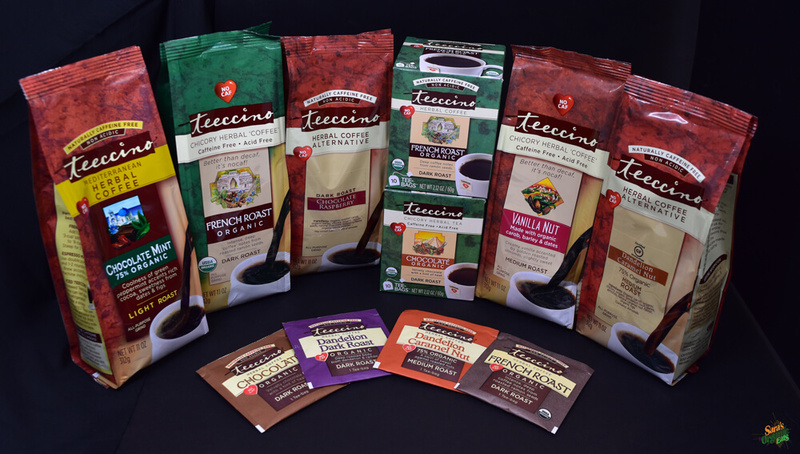 With living an organic lifestyle, I haven’t given up anything except caffeine (for other reasons, as you can read in How I Broke Up With My Love For Coffee). I am not a vegetarian, a vegan or gluten free or follow a paleo lifestyle or a plant based diet. All of the “diets” that I mentioned have been linked to an organic lifestyle. I don’t identify myself solely with one of those lifestyle labels. I eat a variety of food items that are vegetarian, vegan, gluten free, dairy free, plant based and paleo but I don’t follow just one of those lifestyles. 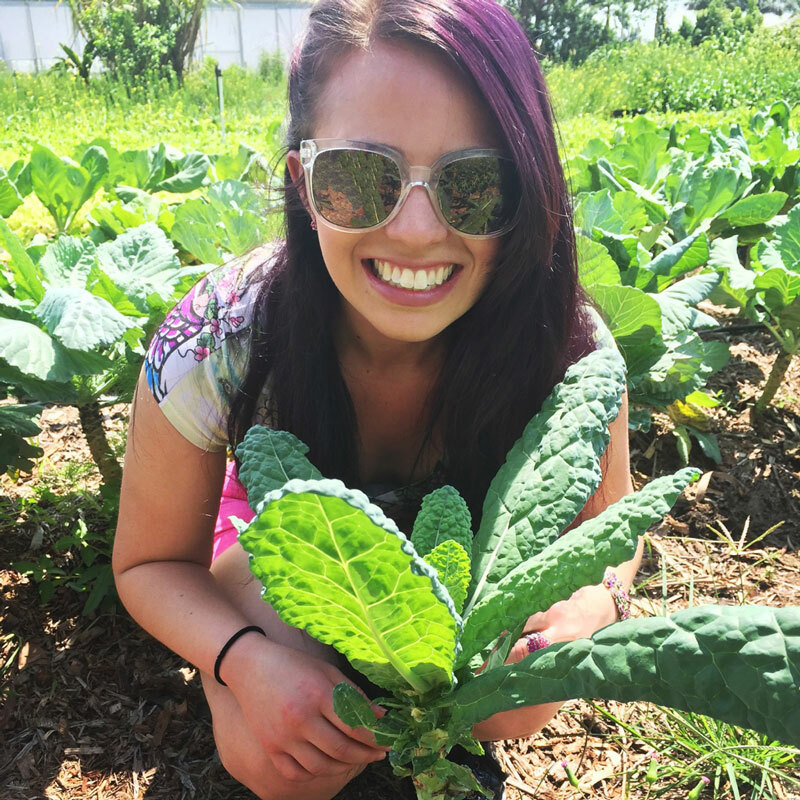 My whole purpose for following an organic lifestyle is that I am going back to basics and eating organic like they did 60 years ago but in the modern day without depriving myself from the foods I love. Yes I still eat meat, chicken, dairy, raw cane sugar, and bread, but all organically produced and raised. Of course I limit those items but I don’t deprive myself either. I want to raise awareness that by living an organic lifestyle you don’t have to go into the other categories or lifestyles that are somehow linked to organic. You can live the same life like everyone else without any restrictions but just finding its organic counterpart. Again, there is nothing wrong with any of the other lifestyles, I think they are fantastic and beneficial. Everyone has their own reasoning and views as to why they eat the way they eat. Just make sure that if you ever want to change your lifestyle, research it completely so that you are getting the right nutrients and follow it properly. Also, no matter what, never ever change your lifestyle just to look cool and fit in with someone you are trying to impress. Always do things for you because you know it is going to make you the best version of yourself. p.s: Don’t worry, you can still come up to me and ask me if I am a vegetarian. I love and always will welcome any questions. Hopefully you will have read this blog post first, 🙂 haha. Valentine’s Day is quickly approaching us (hence the big heart around my logo). Although everyday you should spread love and tell those you love how much you love them, Valentine’s Day is still a day that is dedicated to love. It shouldn’t be about the presents you receive or how much your significant other spent on you. It should be about who you spend it with and of course the delicious sweets you are about to stuff yourself with. Even if you spend Valentine’s Day without anyone, just know that loving yourself is the number one greatest love you can have. On Valentine’s Day, I feel that you can eat as much sweets as you like and no one can or should judge you for it. Chocolate = Love, plain and simple. Since this is an indulging holiday, why not indulge in organic sweets? There are so many awesome organic treats and delicious organic chocolates that you can celebrate with. In the past couple of weeks I have found so many delicious organic chocolates and candies at Whole Foods Market that are made specific for Valentine’s Day. For me, it wouldn’t be a Valentine’s Day without Green and Blacks Chocolate or Rigoni Di Asiago Organic Nocciolata ( hazelnut spread A.K.A Nutella). I love dipping organic strawberries in the organic Nutella. I also love dipping organic fruit in melted organic chocolate. Sometimes on Valentine’s Day, I love making organic popcorn and adding organic chocolate chips to it as a yummy and delicious treat. This week I posted two recipes. One is an Organic Strawberry Milkshake and the other is an Organic Creamy Chocolate Mousse . These recipes are so delicious and easy to make to share with your Valentine. 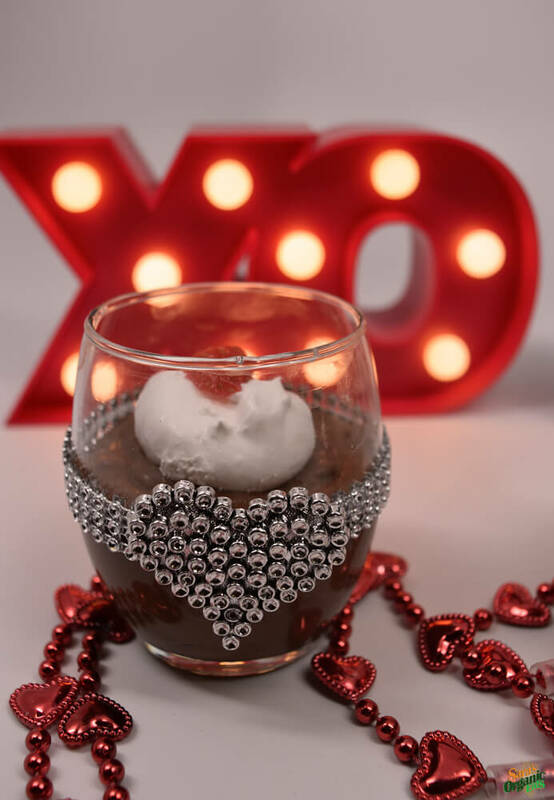 There are so many fun and easy recipes out there that you can make on Valentine’s Day. No need to buy store-bought desserts especially because you have no idea what ingredients they use. 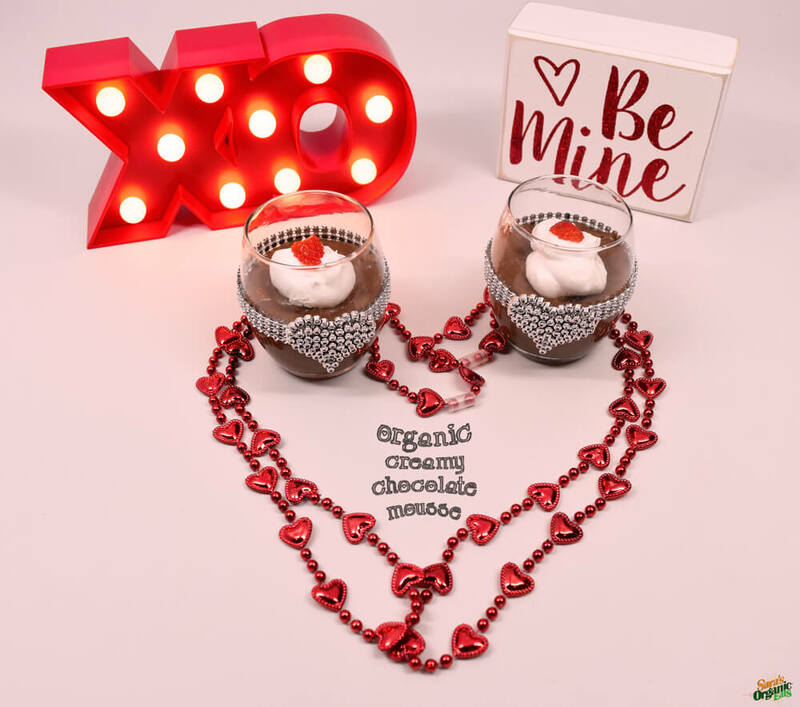 Here are some of the organic Valentine’s Day products that you can try. This organic strawberry milkshake is bursting with strawberry flavor. This milkshake is perfect to make for Valentines Day! Just add two straws and share it with your Valentine. 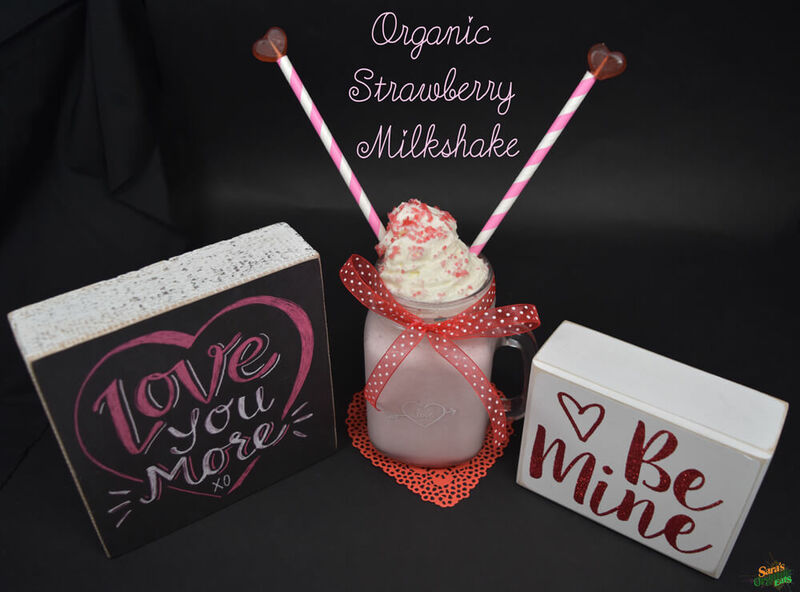 Even if you don’t make this recipe for Valentines Day, you can enjoy this delicious organic strawberry milkshake anytime. Most conventional strawberry milkshakes are made with fake colors and some don’t even contain real strawberries. 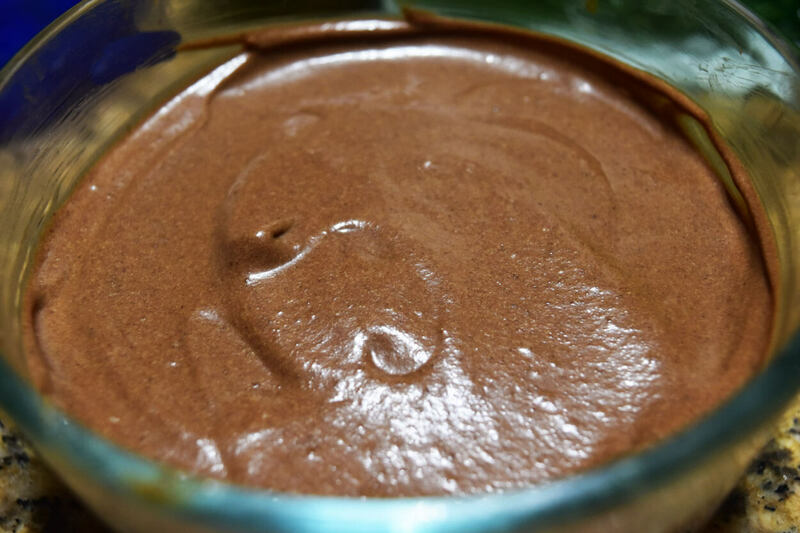 This recipe contains all organic ingredients. There are no artificial colors or flavors. I want to mention that I achieved the pink color of the milkshake by adding the liquid from boiling a red Beet. You can be assured that you are drinking a wholesome milkshake with real ingredients when you make this recipe. 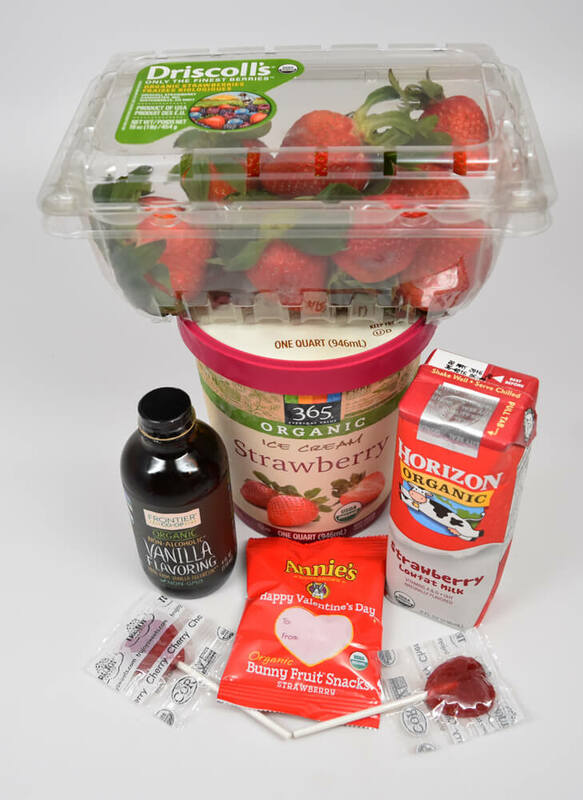 For those of you that love strawberry milkshakes, you will love this pure organic recipe. It is so easy to make! These are the exact brands of ingredients I used. I purchased all of these ingredients from my local Whole Foods Market. First make the beet coloring (instructions in notes). 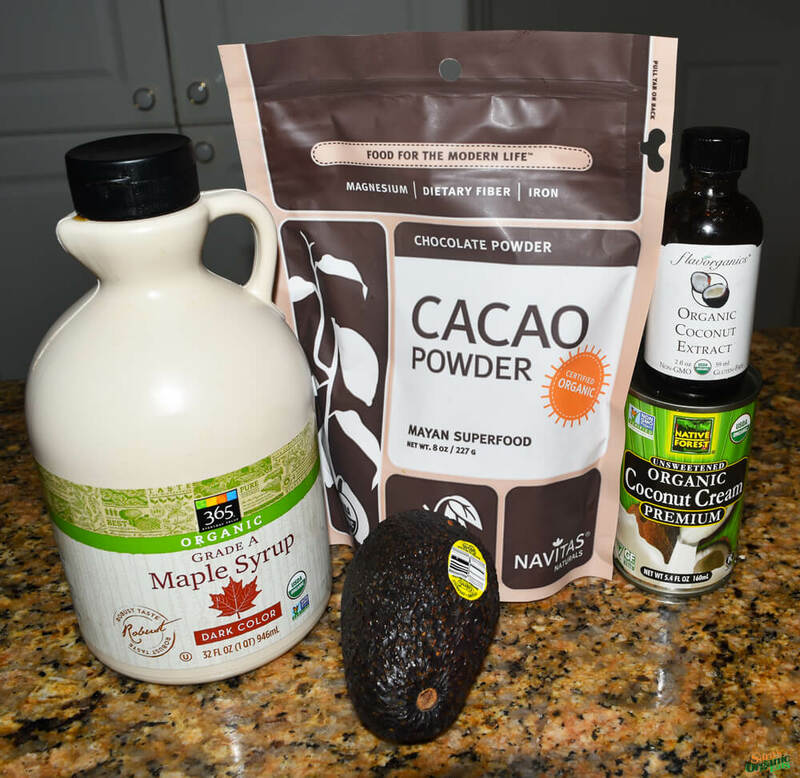 Then, add all ingredients into a blender. Mix until well combined and you reach your desired thickness. Top with whipped cream and a crushed cherry lollipop from one lollipop. Take one small organic beet and cut it in half. Fill it in a small pot and cover it with water (about 1 cup). Boil the water for about 7 minutes until it becomes a bright red color. Remove Beet and use the water coloring in your recipes. Feel free to add any toppings you may like. Also feel free to use your favorite brands to make this milkshake. I hope you enjoy this delicious organic strawberry milkshake! I hope you have a lovely Valentines Day filled with lots of love and yummy organic eats.